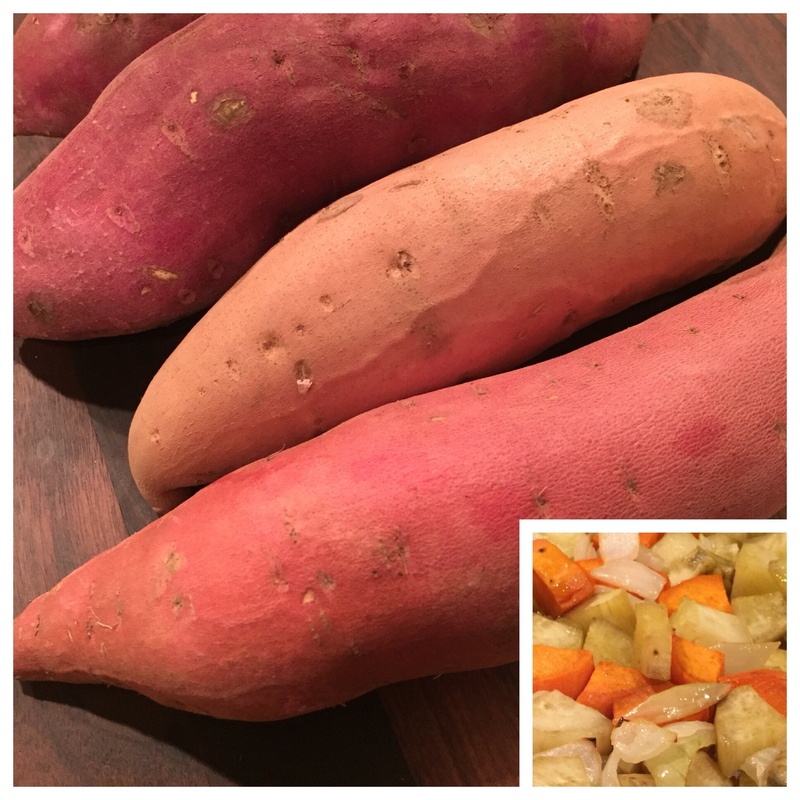 We roasted this colorful trio of sweet potatoes for dinner and it was delicious! Mama and I have long been obsessed with Japanese white sweet potatoes. On the recommendation of the produce manager at our local grocer, we tried adding a white sweet potato, a yam, and a yellow onion to the mix. Mama and I agreed that our favorite is still the Japanese variety, because it is so sweet and has an almost nutty flavor. They caramelize magnificently in the oven. Today’s #OneGoodThing was a roasted sweet trio! Americans, don’t forget to vote tomorrow! It is your civic and moral duty. Vote like lives depend on it — because they do. Our lives depend on it. We voted two weeks ago. GO VOTE! Day 309 of 365. And Day 1,040 in a row (here’s the first 366 & the following 365)!